GAM Gear, a manufacturer of precision gear reducers and servo couplings announces a new two week standard delivery program for the PE series of inline planetary gear reducers. 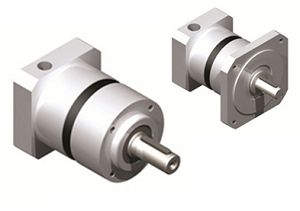 The PE series has precision gears and robust dual output bearings making it a great option for most servo and stepper motor applications where performance and durability are required. “We are committed to providing products and services that our customers need and this delivery program is an extremely important aspect to that commitment,” said Craig van den Avont, president of GAM Gear. “We are known in the motion control industry for our large product offering and our ability to provide customized solutions, but we also have many product lines that have quick delivery. This program really demonstrates that GAM can deliver”. The delivery program covers popular ratios from the 50mm frame size up to 118mm in the PE-W (Metric) output version and from the NEMA 17 frame size up to NEMA 42 in the PE-N (NEMA) output version. Express services for deliveries in less than two weeks are possible and the PE series is also available for purchase online with a credit card. For more details on the delivery program or application assistance on the PE Series, contact GAM at 888-GAM-7117.